The Worlds First All Drop Stitch Kayak! 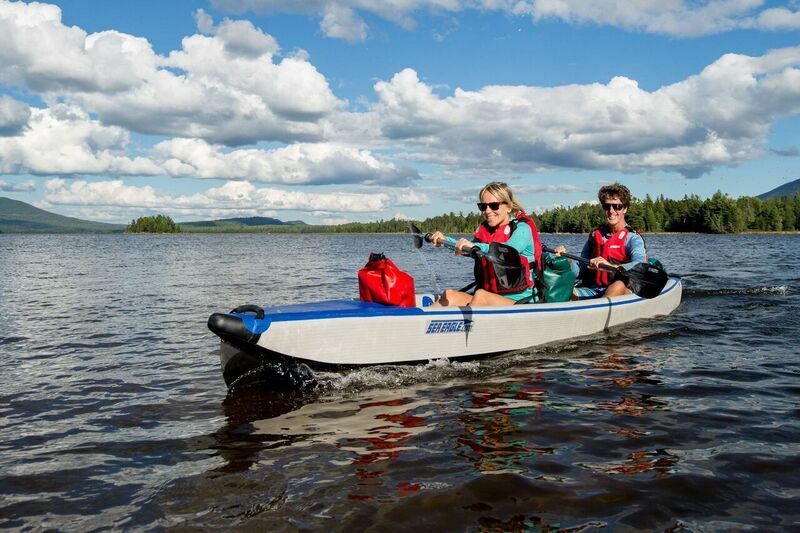 Sea Eagle's patent pending RazorLite™ Kayak is a high performance ultra light kayak and the world's first and only inflatable kayak made entirely with Drop Stitch Technology throughout! This enables the RazorLite™ to be inflated to a much higher pressure (up to 12 psi) than other kayaks (3-4 psi) which increases overall rigidity. Another First For Inflatable Kayaks! Look closely at the RazorLite™'s bow and stern and you'll find another amazing first time achievement in inflatable kayak designs. Not only do you have a speed entry system that creates lift while reducing friction and drag but Sea Eagle now introduces the inflatable worlds first and only Double Concave entry and exit system. Allowing pockets of air to enter in between the hull and the water thus creating even more lift and reducing even more friction and drag! A very important feature is the high pressure drop stitch construction. It provides rock solid rigidity to the whole structure of the kayak making it very responsive to paddle strokes. The drop stitch construction makes this kayak super rigid, ultra light, and extremely fast!